The card was charged successfully . We are going to send you text notifications with the schedule. The information about the host will be sent to you on the day of the event or the day before. Feel free to share this page with your friends if they want to join you since the tickets must be purchased in advance. What is a night club crawl and why should you try it? 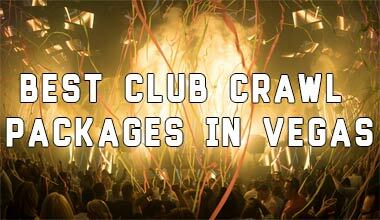 A club crawl is a way to experience multiple, popular, venues for a fixed price. As a Nocturnal Tours guest, you get a dedicated VIP line at all the venues we visit and drink specials throughout the night. 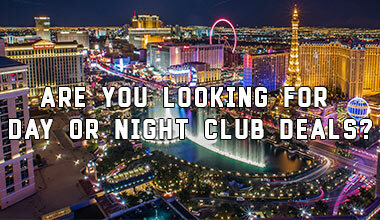 Our club crawl guarantees you, your own personal VIP host, VIP access to 3-4 venues for the night and includes a one hour party bus ride to the Famous Las Vegas Sign, where we have a photographer snap memories of you and your group that will last forever! What's a day club crawl and why should you try it? If you're in Vegas to party, non-stop, then you'll want to experience the daylife. During the summer, pool parties are abundant in Vegas. 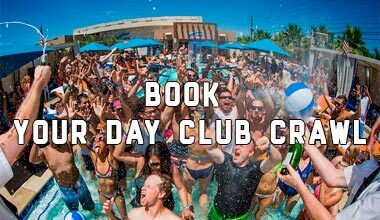 Our dayclub crawl will take you for a tour of 2-3 Vegas pool parties per day! As with our nightclub crawl, for a fixed price, you have your own personal VIP host, save on cover charges and receive a dedicated VIP line access, drink specials throughout the day and open bar on our party bus! It's also a great way to make new friends! You'll be in a group of people from all over the world who are also looking to have a blast in Las Vegas! Who's Nocturnal Tours LLC and what so special about them. Nocturnal Tours, LLC is Las Vegas' premiere club crawl company! We strive for the best customer experience with every single tour! The transportation we provide are Las Vegas' best, state of the art, custom party buses and always include open bar while you're partying inside them! Our VIP hosts are knowledgeable, local residents, trained to maximize your fun! And did we mention open bar on our buses?!?! If you want your own bus and a custom itinerary, we also provide private tours! With a private tour, you get all the perks of the regular nightclub or day club crawl but you only share the bus with the people of your choosing! It's great for bachelor, bachelorette, graduation, birthday parties and any special occasion! Contact us to set up your own private club crawl!